Houston! Get ready for an incredible evening of Praise and Worship and an awesome night of bliss. To God For God All about God, Saturday: Nov 28th @5pm. 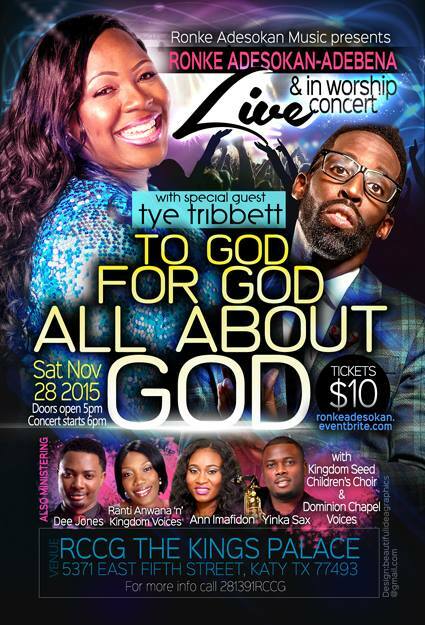 Featuring Tye Tribbett Live and in Worship concert. Kids can come in FREE!! !